Creating Authentic Experiences for discerning travelers. Vietnam is fast becoming one of the most romantic and fascinating destinations in Asia. Plan your most unforgettable and extraordinary honeymoon or wedding anniversary celebration in our country. We offer an array of attractive packages at the most romantic and luxurious hotels and resorts in Asia. 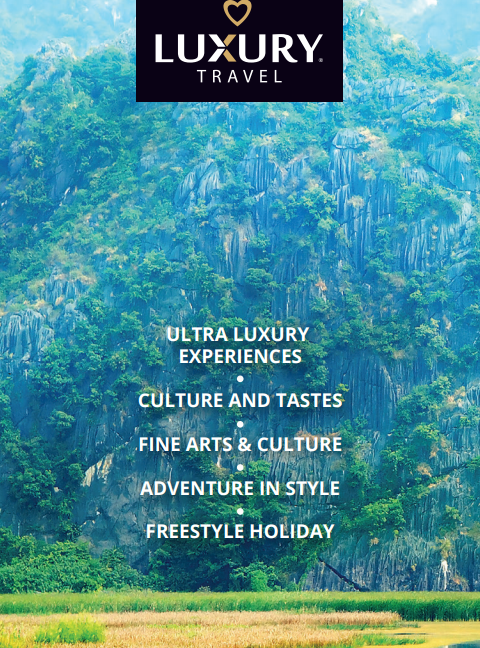 Create your perfect honeymoon or anniversary with Luxury Travel Co., Ltd. Excellence in Leisure, Business Travel. Warmly welcome at HCMC. Pick up and transfer to your hotel. At leisure. Ho Chi Minh City (formerly known as Saigon), is the largest and busiest city in Vietnam with a population of 7 million people. Much of the daily life takes place on the streets, which are lined with shops, stalls, and vendors with their wares spread out on the footpath. Welcome dinner at local restaurant. Overnight in HCMC. In the morning you take a one-hour flight to Nha Trang. Pick up and transfer to your resort. Free. At leisure relaxing and unwinding at the resort overlooking beautiful Bay. Snorkel or dive among the coral reefs in crystal blue waters, hike nature trails, cool off in your private plunge pool, indulge in spa treatments or just relax on the white sand beach and admire the unspoiled mountain and sea views. Overnight in Nha Trang. You have a free day at leisure for relaxing and unwinding at the resort overlooking beautiful Bay. Snorkel or dive among the coral reefs in crystal blue waters, hike nature trails, cool off in your private plunge pool, indulge in spa treatments or just relax on the white sand beach and admire the unspoiled mountain and sea views. Overnight in Nha Trang. Free day at leisure for relaxing and unwinding at the resort overlooking beautiful Bay or take an optional boat trip cruising on the Nha Trang Bay to visit Tri Nguyen Aquarium, the Mun Island- best island for snorkeling with lots of lives colorful corals and fish. Taking a fresh meal at the Con Se Tre island. Overnight in Nha Trang. Overnight in Nha Trang. Enjoy your free time until transfer to airport for a flight to Danang. Upon arrival, you will visit the Cham Museum where you can find out more about this ancient but advanced civilization of Cham people followed by a short drive to visit the Marble Mountains where you will climb to the top and admire the temples that have a commanding view over the surrounding district. You continue to drive to your hotel in Hoi An. Free. At leisure. Overnight in Hoi An. From the 16th to 18th centuries, Hoi An was a thriving international commercial port for Chinese, Dutch, French, Japanese, Portuguese and Arab traders. Hoi An now is a quaint riverside town, popular with tourists for its eclectic architecture, tailors shops, and numerous cafes. Some of the buildings in the narrow streets have remained unchanged for more than a century. You enjoy a half-day walking tour through the narrow winding streets of the Ancient Quarter visiting Chua Ong Pagoda, Chinese Assembly Halls, the 200- year old Tam Ky ancestral house, and the Japanese Bridge. Following the tour, there will be free time to shop or relax. Overnight in Hoi An. You have a free time at the resort to enjoy the facilities and comforts of the finest resort in Hoi An, with breakfast included. Hoi An is now one of five UNESCO-designated World Heritage sites in Vietnam. For your leisure time, you are free to meander in Hoi An, unwind at Cua Dai Beach, indulge yourself at a spa or take an optional half day trip to My Son Cham Ruins or the Imperial Capital Hue. Overnight in Hoi An. In the morning you will leave Hoi An for Hue via a very nice Hai Van Pass. This afternoon you embark on a private tour of Hue City including the Citadel, the Forbidden Purple City, the Imperial Museum and Dong Ba market. Evening you enjoy the fine cuisine of Hue in the local restaurant. Overnight in Hue. Rising up in the ancient land, breakfast in the hotel, we board on a private boat for cruising on the romantic Perfume River. Being the ancient capital, Hue is surrounded by ancient tombs of emperors past. The charming Lady Pagoda (Thien Mu Pagoda) will be the first stop of the day. From here you drive to visit the King Minh Mang's tomb and King Tu Duc’s tomb. Back to your hotel. Free. At leisure. Overnight in Hue. Free until transfer to airport for flight to Hanoi. The colonial capital city Hanoi is a unique Asian city with tree-lined boulevards, French colonial architecture, peaceful lakes and oriental pagodas and temples. In the afternoon you have a private tour to explore Hanoi, Vietnam 's artistic and intellectual capital. Explore the fascinating Old Quarter and its hundreds of specialty shops selling silk clothing, lacquerware, embroidered linens, furniture, bamboo, cooking utensils, ceremonial objects and more. Enjoy people watching at stylish cafes. Also visit Hanoi 's main cultural attractions, including the Fine Arts Museum and the Temple of Literature. Evening water puppet performance. Overnight in Hanoi. A bit early in the morning you will drive to Halong Bay, approximately 3.5 hours away. Once at Halong city, you are welcome on your private boat for a four-hour cruise of this stunning area, stopping along the way to visit one of the limestone caves in the area. While you are cruising the boat crew will serve you a sumptuous local seafood lunch. After 4 hour navigation, you sail back to the harbor and drive back to Hanoi. Overnight in Hanoi. There are no activities planned for today. You enjoy your free time until transfer to airport for your onward flight.